Thanks to Rogerrio for the link! Russia's Ministry of Defense (MoD) announced that a new weapon is very near completion of its test validation trials and will soon be placed into service. 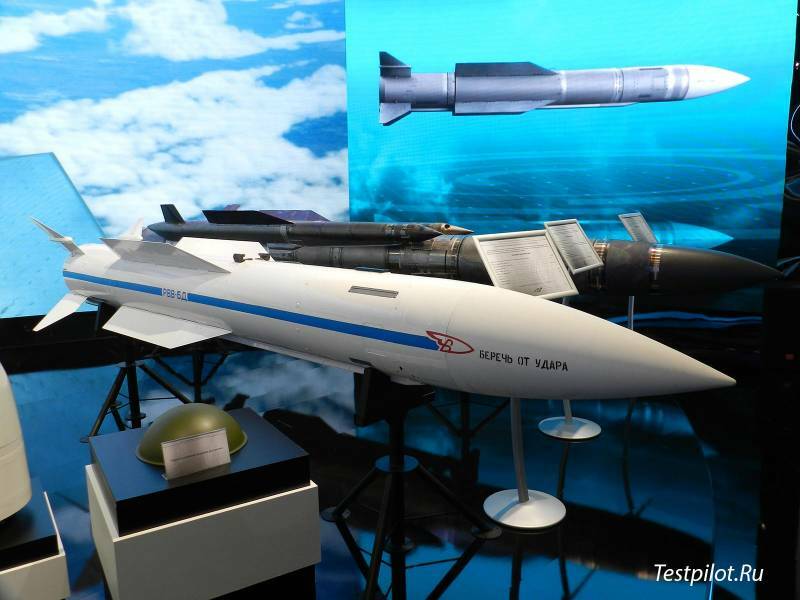 The weapon is the Vympel R-37M air-to-air missile. Launched from a fighter aircraft, it is designed to hit targets at ranges of up to 188 miles, its warhead section contains 132 lbs of explosive material, and it is reported to be capable of speeds of up to Mach 6. This missile gives Russian aircraft an advantage over U.S. combat aircraft in both speed and reach. The most advanced versions of the US-made Raytheon AIM-120 air-to-air missile top out at about Mach 4 and have a range of only about 110 miles. Defense planners are alarmed at the number of fighters Russia plans to fit with this weapon. The missiles that preceded the R-37M had been exclusive to the weapons fit for the Mikoyan MiG-31 aircraft. The MiG-31 mission was almost entirely dedicated to shooting down U.S. strategic bombers and other large aircraft that might pose a threat to Russian air space, so these missiles were typically not often seen outside of Russian territory. However, according to MoD sources, the Russian Aerospace Forces (VKO) are planning for Sukhoi model aircraft Su-30, Su-35, and Su-57 to all operate with the R-37M, in addition to the MiG-31. The missile will therefore be capable of being fired at almost any U.S. military aircraft in numerous theaters of operation worldwide and not just within Moscow's territorial airspace.